Birgit Kluger has written an excellent resource for the indie author hoping to start selling in Germany. Going Global is extremely informative on the German market, highly practical on how to set up author pages and promote your books, and invaluable in its listings of bloggers and routes to alternative reading devices. 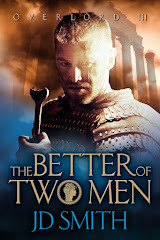 Under the pen name JB Brooklin, she writes fantasy novels in both German and English, and under her own name, highly successful chicklit in German. Birgit talked to me about the explosion in eBooks and why writers really need to consider this rapidly growing opportunity. The German book market is changing fast. What do you see as the key shifts happening now? For authors promoting their books key shifts are that free promotions on Amazon don’t have the impact they used to have. Due to this many authors now switch to promoting their books with a reduced price, such as 99 Cents. Also – against all predictions - Indie authors have succeeded in gaining a foothold in the top 100 Amazon ebook charts. What many viewed as a short term trend has in fact established itself as normal. I just had a look at the top 10 and 7 out of these 10 books are published by Indie authors. This is a huge success! Other ebook stores apart from Amazon are gaining market shares. With the launch of the Tolino in 2013, an ebook reader that has been created through the cooperation of the leading German booksellers together with German Telekom, there is another device besides the Kindle that is gaining in popularity, ensuring that readers not only look at Amazon when they want to buy an ebook. Due to this other ebook stores such as buch.de, bücher.de, thalia.de etc. are selling more ebooks than before. I believe that Indie authors are well advised to get their books into these shops. Tell us your story. How did you get involved with the world of independent publishing? After almost 20 years of trying to get a publishing contract I finally succeeded in 2011. I was ecstatic with joy. After the book was published as an ebook in the fall of 2011 I soon discovered that the publisher expected me to do all the marketing. So I did, I tweeted and posted about my book constantly with little success and a lot of frustration. Fortunately for me my publisher wasn’t interested in my second book. It was another Genre and my first book wasn’t selling too well anyway. I decided to self publish it. That was the beginning of 2012 and self publishing had just taken off in Germany. Within six months I sold 10.000 copies, a number I still have to reach with my first book (should take only about 15 years at the rate it’s going). Ever since then I have self published my books and am tremendously enjoying the process. I am in control of what I do, I am responsible for my successes and failures, plus the royalties are much higher than when using a publisher. How do German readers react to self-published books? Which genres are popular? Many readers are not even aware that there is a difference, that there are Indie authors out there who self publish their books. And from what I hear they don’t make much of a difference if they are aware as long as the quality is right. Books with lots of spelling and grammar mistakes are bad for Indies, because some readers tend to assume that we all work like this. But, since self published books are usually priced lower, many readers take a chance. Popular genres are Crime, ChickLit and Fantasy. You’re very generous in sharing advice via Going Global. Why did you choose to offer your expertise to English-speaking writers? I noticed that English books sell quite well in Germany. At the same time there aren’t many Indie books in the English ebook charts at Amazon. 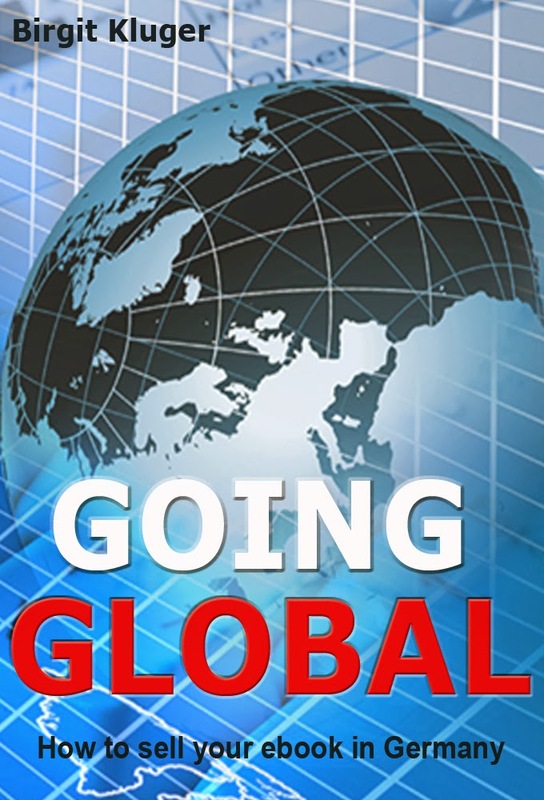 My assumption was that probably many Indie authors didn’t know how and where to promote their books for the German market, which is why I wrote “Going Global”. I read that 70,000 people have published their own books in Germany. Is there a supportive community of indie authors? Yes, there is. There are many Facebook groups for Indie authors. Facebook tends to be the place where one finds a lot of support. There are also some internet forums but Facebook is more popular since many authors check in every day to communicate with their readers and other authors. I am a member of several groups and I really enjoy the supportive attitude most Indie authors show toward their peers. It's clear that eBook sales are exploding, but can you see a future for self-published print books? Yes, with Createspace now offering expanded distribution for German books many Indies are starting to offer print versions of their ebooks. Together with the MatchBook program at Amazon, this is an opportunity to reach even more readers. Also German book on demand companies are trying to offer attractive solutions. What do you personally enjoy reading? 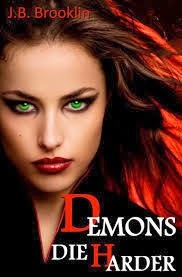 I love the genres I write in: Fantasy and ChickLit. You write in both German and English – does you style change according to which language you’re using? I believe it does. I spent a year in the US when I was fifteen. And somehow, maybe because this is an age where emotions tend to go overboard, I express emotions better in my English texts than in my german writing. For example I write song lyrics as well, but only in English, in German somehow the words won’t come as easily. Which authors who write in German would you recommend for our readers? I love books from Kerstin Gier, B.C. Schiller and Matthias Zipfel. Right now I am re-editing my German novel “Küss niemals deinen Ex” (Never Kiss Your Ex). It’s ChickLit mixed with a crime story. I hope to publish it by the end of February. After that I’ll start writing the sequel to my fantasy novel “Creatures of Fire”, both in English and in German. And then I am thinking about writing a new “Going Global” book, this time focusing on the US market. 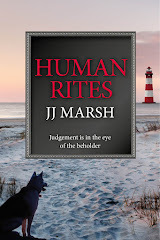 I thought Amanda’s first novel, 22 Britannia Road, was a beautifully written novel and have eagerly awaited her second. And it doesn’t disappoint. There’s even more of a lyrical quality to Amanda’s writing here, which works perfectly, some scenes are so intense they are almost cinematic. The setting is perfectly described and the sense of time, as we move through the war years and onwards, is breathtakingly detailed and accurate. You feel as if you have stepped right into the character’s shoes and are seeing the world just as they knew it – whether it be the grime and danger of war-ravaged London or the open spaces and simple beauty of rural Suffolk. At the same time, while time moves on, you have a sense the author really wants to bring home the message that age is just a number, a date is just a reference, and that nothing really changes. Not really. Nothing of importance, such as love and loss, grief and happiness. Spilt Milk is about two sisters who live an isolated life by a river in Suffolk in the early 1900s. In 1913 they meet a travelling man who changes their lives forever. The novel follows their lives and the lives of their families through the main part of the twentieth century up to the late 1960s. The sisters are incredibly different women (as sisters often are) and yet they share a bond which is finally unbreakable despite all they go through. Spilt Milk is set in a beautiful part of England, why did you decide to set the novel there, and is getting the right location for the story vital to you? Location is really important to me. And in Spilt Milk the landscape is central to the characters’ lives. I first began thinking about the novel when out walking along a riverbank. I realised the landscape I was looking at probably hadn’t changed much over the years. A woman standing there a hundred years ago would have seen the same river yet she would surely have been a very different person to me. That was the starting point for Spilt Milk. The river in the novel turns out to be central to the character’s lives. It connects them and separates them too. So yes, in this novel, I’d say the locations are really part of the story. Any plans to move your settings to another area or country? My next novel is set in Fance where I live and I am really enjoying writing about a place I love. How did you handle the research of the period? I tend to read a lot of oral histories. I also adore folk history which says so much about the lives of people and their beliefs. I read widely and study photographs and newspaper archives. I also try and get a sense of the way people spoke and their attitudes, hopes and expectations in life. I suppose I research until I feel I have an kind of instinct for the characters. Then I really concentrate on the story. Why was the examination of family generations so important to you and were you drawing on any personal experience? As a child I spent a lot of the school holidays with my great grandmother and my grandmother. Sometimes my mother, when she came to take me home, would point out that we were four generations in one room. I remember feeling amazed by this. I used to look at the four of us and though I knew we belonged together, I also felt their lives were mysterious to me. That they belonged to the past in some way. I am still curious about the closeness and the distance between generations. Then, while I was thinking about writing another novel, my eldest daughter went away to university and I realised she was about to grow up and find her own way in life. It got me thinking again about that movement between women and generations, the paths we take, the similarities and the differences. In that respect, yes, I think Spilt Milk came out of my own interests in family dynamics. How do you feel about your debut novel, 22 Britannia Road when you look back at now? I feel really proud of my first novel. It’s not an exaggeration to say it changed my life, allowing me to write full time. 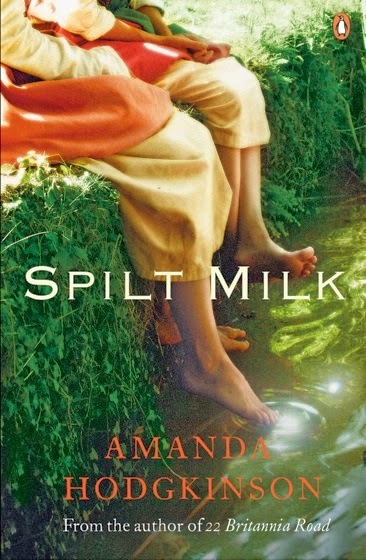 How do you feel about the release of Spilt Milk, does it differ to how you felt when your first novel was released? I am nervous but excited too! I feel like I am starting out on another journey. I am not a debut novelist any more. That feels different. I have more experience now although I expect I will be on another steep learning curve with the publication of Spilt Milk! Do you still have the same goals and ambitions as when you started out? When I started out my goal was to write a novel. Then it moved to wanting to be published. Now I have two published books under my belt and a novella in an anthology entitled Grand Central which will be published in July 2014. Now my ambitions are to get better as a writer – to develop and deepen my craft and to continue writing about aspects of life that fascinate me. Would you ever consider writing in another genre? Is there a writer you admire so much you would like to try your hand in that genre? At the moment, I am still interested in writing literary women’s fiction but I think I’d like to and write a detective/mystery novel one day. Kate Atkinson and her detective novels come to mind as an inspiration. That is a very hard question! I’m going to ask for poetry books. I’d like the collected works of Elizabeth Bishop, the collected works of Raymond Carver and the collected poems of Les Murray. 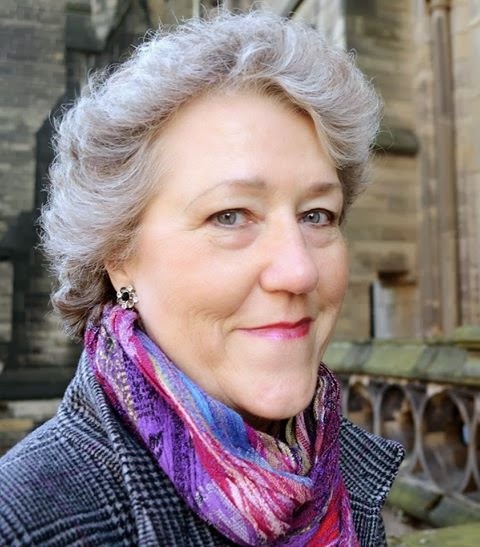 This week we are delighted to welcome Guest Blogger, Linda Gillard, to talk about using your Facebook Author page to connect effectively with readers. Linda, you’re a successful indie author publishing non-genre fiction, which is notoriously hard to market. How have you used social networking? Someone said 98% of all book marketing is a complete waste of time. The trouble is, no one knows which 2% actually works. It’s really hit and miss. I can’t claim I knew what I was doing, but looking back, I can see I’ve steered a steady course through the choppy seas of self-promotion and online marketing, just focusing on writing novels (seven since 2005) and interacting with readers. I don’t have a personal blog and I don’t tweet. Facebook has been my main promotional tool. I rejected Twitter partly on time grounds, but mostly because I’m just not interested in reading tweets. I keep up with friends, family and readers in email and on Facebook. 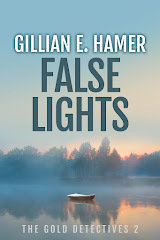 I thought a personal blog would take up too much time and might siphon off writing energy, so instead, I offered to guest blog whenever I had a book to promote. That was useful for reaching new readers, yet didn’t become a time-consuming chore. It also provided me with something new to share on my page. I don’t have a huge FB following (887 currently) but many of them are very keen. They tweet for me, share my posts and talk about my books on forums. An author told me recently, “There's always chatter about you on Twitter” and that’s one of the reasons I don't tweet. A reader promoting me is far more convincing than self-promotion. Why did you decide to set up a FB author page? In 2009 I’d been dropped by my publisher and I was waiting for my agent to find me a new one. Readers kept asking me about the next book and I continued to be short-listed for awards after I’d been dropped, so there was still book news to share. I got to grips with FB as a way of keeping myself in the public eye. I kept my page lively, personal and positive. I was conscientious about responding to anyone who posted on my page. I also made sure I visited other pages and made my presence felt there, but in a genuine way. I was just making it up as I went along really, dreaming of the day I’d hit 100 followers! How did you create a FB page readers would want to follow? I don’t know, but I can tell what I didn’t do. There were no puppies or kittens, no pictures of food, nor did I post pictures of half-naked men. (Though I realise hunky guys cuddling kittens would have got a lot of “likes”!) I posted mainly about book-related topics and topics related to my books: textiles, castles, island living, World War I, music, landscape, wildlife. There was plenty of variety. I tried to make my page fun but intelligent, the sort of page I would want to visit. I kept the posts and links stimulating and informative, the sort of thing that invited engagement. I also kept it local. I live in the Highlands and most of my fiction is set there, so my page reflects that. People often find my page because of shared posts about Scotland. I also shared my writing and marketing process. Readers were interested and keen to help. They gave me useful feedback about titles, covers, prices, blurbs. I think that gave them a sense of “ownership” of the books, which meant they were then happy to promote them. Was there a tipping point when your page took off? Yes, when I was diagnosed with breast cancer in 2012. I had to decide whether to go public on my page. I’d always been open about my mental health history (because I’d explored mental health issues in stigma-busting books like EMOTIONAL GEOLOGY and UNTYING THE KNOT). I could see no reason why I shouldn’t go public with my cancer journey. It was the best marketing move I ever made. Health issues on my page found me a new audience. My sometimes lengthy cancer posts were shared and people posted to say they’d bought one of my novels on the basis of how I’d written about my experience, which was honestly, but with a lot of dark humour. I discovered readers like to feel they know you personally. They love to hear about your ups and downs. My followers have watched me go from dumped mid-list author to indie bestseller. They’ve seen both my kids get married. They’ve followed the saga of my cancer, subsequent disability and slow recovery. It's been quite a soap. Do you think the fact you had an existing fan-base when you went indie gave you an initial 'critical mass' of FB followers from which to grow? More importantly, I’d already had three books traditionally published. There was a body of work to post about and ready to read. Pre-Facebook, I had a small, enthusiastic fan-base – in the hundreds, not thousands. After I went indie in 2011, HOUSE OF SILENCE found me tens of thousands of new readers, but the growth on the FB page has always been slow and steady. What advice would you give to someone starting from scratch without an existing fan base? Be patient. It could take years to build a following. Look at author pages with a large, active following. Observe what they do (and don’t do). Keep self-promo to a minimum. Even when you aren’t plugging them, you’re still promoting your books. Readers think – not unreasonably – that an interesting person might write interesting books. So don’t promote your books, promote yourself, your interests and especially the issues in your books. Remember, you get out what you put in. If you make your posts informative, witty, passionate, quirky, personal, people will come back for more. Cats in fancy dress make people smile, but they don’t sell books. Linda Gillard lives on the Black Isle in Scotland. 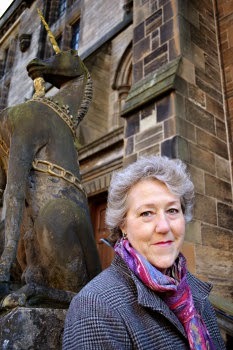 She’s the author of seven novels, including STAR GAZING, short-listed in 2009 for Romantic Novel of the Year and HOUSE OF SILENCE, selected by Amazon UK as one of their Top Ten "Best of 2011" in the Indie Author category. 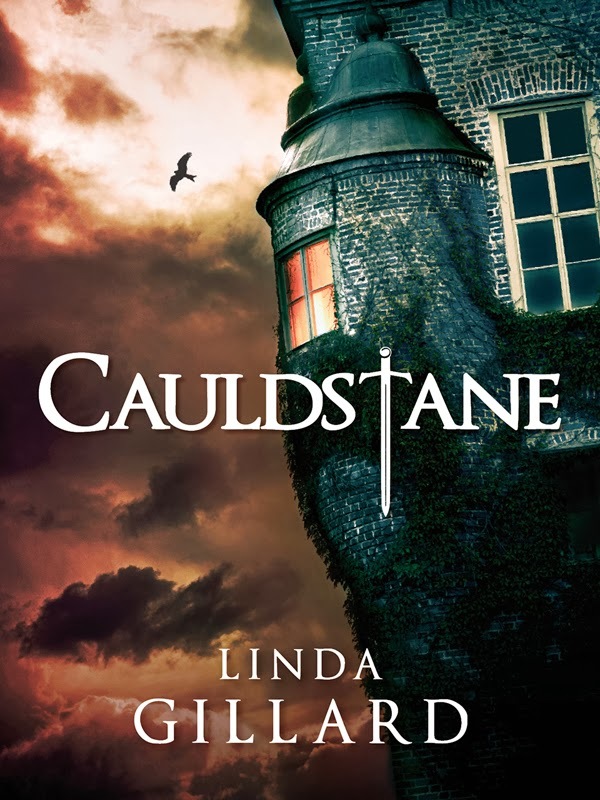 Her latest book is CAULDSTANE, a gothic novel in the romantic suspense tradition of Daphne du Maurier and Mary Stewart. The 4th January this year was a landmark day for me. It was the day I was able to tweet that my two books were IN STOCK at my local independent bookshop. It wasn’t something that happened overnight. My connection with the bookshop began almost exactly two years ago, long before I published either of my books. At the time, the news was full of reports of independent bookshops closing down all over the country. Chorleywood Bookshop, run by Sheryl Shurville and Morag Watson, had not long since won the southeast regional award for Independent Bookseller of the Year, and I wanted to find out how they managed to make their shop a success. 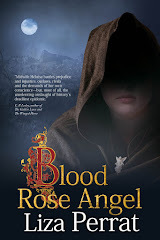 The answer, I found, was an incredible amount of hard work and dedication, coupled with a whole range of imaginative ways of connecting with readers. I wrote about it for the February 2012 edition of Words with Jam, and Sheryl and Morag were delighted with the coverage. So when the first three Triskele books were published a few months later, I was relieved to find them take one look at J D Smith’s beautiful covers and immaculately formatted interiors and agree to take a few copies. We had done no local promotion though, and a few weeks later, the books were returned, with only one sold. An early lesson learnt. Come November, and I again used my connection with Words with Jam to get a press pass for the annual Chorleywood Literary Festival and write about the events. And that planted the seeds of an idea in my mind. My first novel came out in June 2012 and was launch at Foyles, along with three other Triskele titles. By then we knew that our set of books would be published in November and the question that kept buzzing in my mind was – could we launch them at the Chorleywood Lit Fest? By then, I knew the format of the festival – spread out over a couple of weeks, with events on evenings and weekends. And I knew that as well as attracted big names, they had held free events promoting new, upcoming writers. So armed with that knowledge, I went to them with a pitch we had worked out between us – something that would combine a launch of our new titles with an interactive event aimed at those interested in self-publishing and author collectives. As it was to be a free event, and hence no ticket revenue, we offered to make a small contribution to the cost of running the events. And we would also manage the sale of our own books, so the bookshop wouldn’t have to order them or worry about any overstocks. To my delight, Sheryl and Morag jumped at the idea and supported us every inch of the way. They went out of their way to be helpful, included us in their online and print publicity and managed the bookings for us. In return, we followed them on Twitter, connected where we could with other authors attending, and made sure we promoted the other Lit Fest events. As you can read elsewhere, our launch day was a resounding success. We sold lots of books, made lots of friends, and generally had a brilliant time. Importantly, the books had now been promoted locally. So when people started asking me where they could buy the book, I made a point of directing them to the bookshop. It meant I made a little less per copy than I would selling them directly, but I knew that having Sheryl and Morag behind me promoting the book was by far the best way of reaching people I didn’t know personally. The book sold well between the launch and Christmas. I had done what I needed, in terms of providing information to the ISBN agency, Nielsen, to ensure that the book was available through Gardners, which is the major supplier of books to independent bookshops in the UK. But it wasn’t kept in stock by them. So by the time the shop had ordered it from Gardners and Gardners had ordered it from from my POD suppliers, Lightning Source, delivery could take a week or ten days – much slower than they were used to. So after Christmas, they decided they were happy to hold a stock of both of my books, ordered directly from me. Hence my happy little tweet on the 4th January. So what is the lesson from all this? If you are an independent author, you need to build relationship with your local bookshop and library. Don’t expect to be able to walk in as a complete stranger and ask them to stock your book. Be a customer first. If they organise events, attend them. Follow them on Twitter and like them on Facebook. 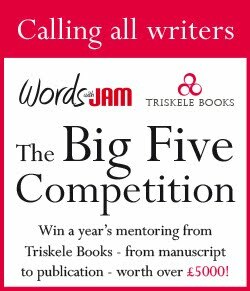 You may not write for a magazine like Words with Jam, but you probably have a blog, or you can pitch something to your local paper. Get to know them and let them get to know you. And when you do approach them, be professional and business-like. Believe me, it will pay off.